The growing number of wineries in Petoskey and Harbor Springs offer a variety of strong whites, select reds and a spectrum of fruits wines—all in all, fine Tip of the Mitt bottlings to complement the Northern Michigan wines of the well-established vintners in Traverse City and the Leelanau Peninsula. Visit the following wineries during your next vacation in Emmet County, and find their products at wine shops and stores throughout the Great Lakes State. Located 5 miles northwest of downtown Harbor Springs and within the idyllic culinary compound of Pond Hill Farm, the Harbor Springs Vineyard and Winery’s trio of crisp whites (riesling, chardonnay and pinot gris) pair well with Pond Hill’s best-selling hot garlic pepper jelly. Sip at your leisure from the winery’s woody tasting room and tour the farm afterwards—just make sure to greet to the portly pigs lounging outside the barn/foodstuffs emporium. Specializing in wines made from cold-hardy grapes grown north of the 45th parallel, Pleasantview’s wines are—according to vintner Jerry Perrone—”tart, crisp and have a fast finish.” And with a sterling pedigree of eco-conscious grape growing, Pleasantview’s offerings are good on your palate and good for the green earth. Check out the B&B for inexpensive, off-the-beaten-path lodging. Nestled near Crooked Lake and 20 minutes northeast of Petoskey, Crooked Vine focuses on juicy, cold-hardy reds, like Marquette and chancellor noir, yet also delves into the world of whites with a frontenac gris made from grapes grown in Michigan vineyards. Keep an eye out for their estate-grown varietals—plantings took place in 2013—and visit Crooked Vine’s cozy, rustic, chandelier-adorned tasting room in the meantime. Mackinaw Trail Winery’s downtown Petoskey tasting room is within reach of the Gaslight District’s shops and eateries while their production facility/tasting room on US 131 allows visitors to get up close and personal with their recent plantings and winemaking processes. With its roots set in Manistique, Mackinaw Trail expanded to their new spaces to accommodate the company’s rapid growth, which was due in part to the winery’s expansive menu stocked with quality reds (notably syrah and cab franc), whites and fruit wines. After a life’s worth of conventional farming on a plot of land 5 miles southwest of Petoskey, the Dennis family has turned to cold-hardy grapes—Marquette, frontenac, La Crescent and others—to serve as the foundation for their homegrown Walloon Lake Winery. With red and white cold-hardy hybrids flourishing at Seasons of the North’s two Northern Michigan vineyards—one next to their Indian River tasting room, the other about 10 minutes away in Afton—expect wines inspired by the surrounding scenery (for instance: River’s Edge, a dry white made from Cayuga grapes) from this small, lakeside winery. With a storied history of growing cherries in Northern Michigan, the vintners at Royal Farms bring fruit-infused reds and whites to your table along with classic ciders. Make a day of it at Royal Farms: tour the grounds, nibble some cherry chocolate macaroons and wash it all down with one of Royal’s homemade wines or ciders. A barn-inspired tasting room complete with exposed beams and rustic decor looms above a softly sloping glen in which recently planted vines are taking root. Stop in to sip on their late harvest riesling or chardonnay, or take a vicarious trip to Spain with a glass of their Love Sangria. A few miles south of Petoskey the 190-acre Rudbeckia Farm sits near the shores of Walloon Lake. The farm is home to Rudbeckia Winery and Burnt Marshmallow Brewing. The family-friendly tasting room offers complimentary popsicles, fruit snacks and frozen grapes for kids along with Rudbeckia Farm coloring pages and crayons. Dog treats and water bowls are available for visiting pups. There are several pets on the farm including two mini pigs—Coco and Posey—seven egg laying chickens, two cats, two Yorkshire terriers and a rabbit. Guests can picnic, play corn hole and hike on the designated 152 acres open to the public during operating hours. Maple Moon is America’s first and only maple winery. The tasting room offers wine tastings, cheese plates featuring cheese from Petoskey Cheese, bread from Crooked Tree Breadworks and Moomers ice cream (June–October). While you’re there, check out the farm store, which features tons of maple syrup products! 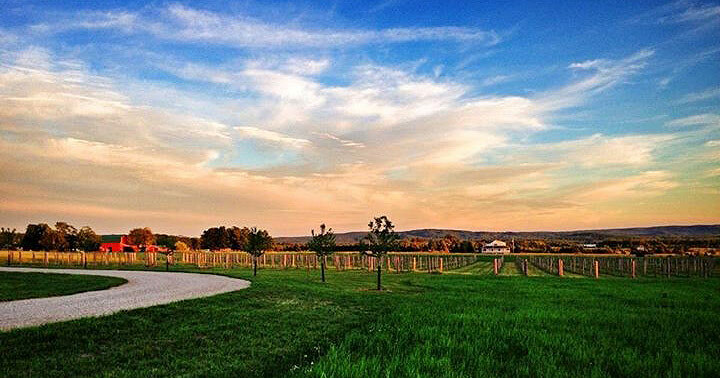 After you’ve visited the wineries in Petoskey and Harbor Springs, sip your way through the rest of Northern Michigan’s wineries.